Today was your typical grey, fogyish, and drizzly London day... one that I have come to love and appreciate on days like today, where I had no reason what so ever to leave the flat! And to make matters even better, the billboard is up covering my windows again and this creates an even cozier cave of sorts, perfect for hiding under the duvet... which is probably why I wasn't so productive either. To set the tone even further, I have had Beirut on repeat floating through the chilly air in a whimsical fashion. You see their music is majestic in a carnival kind of way. Not always appropriate, but sometimes all too appropriate if you know what I mean. They are classified as as unique blend of indie-rock (which we all know I love!) and world music... aka magical carnival music to me! What started as a one man gig eventually flourished into the band it is today. 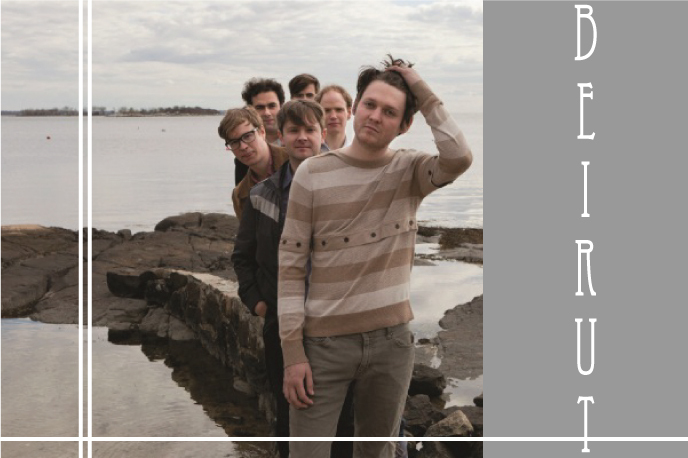 The original band member and biggest reason for their distinctive sound, Zach Condon, was heavily influenced from a young age by a combination of sounds and worldly music. He enjoyed everything from jazz bands to the European folklore he encountered on his travels. The music consists of the usual instruments, along with some rarer ones including the flugelhorn, the accordion, the french horn, and the glockenspiel to name a few. And a little fun tid-bit, they gained a massive fan following and became culturally intertwined with Brazil in 2009. So now what do you all think of their sound? I know it's not for everyone, and only some will truly appreciate them, but I thought I'd share anyways. Thanks love! Glad you enjoyed it so much. Excited to go check out your blog too!-JB. Sounds good!This is such a nice post! Thanks love! Gonna go check out your blog now... -JB. You making me blush! -JB.